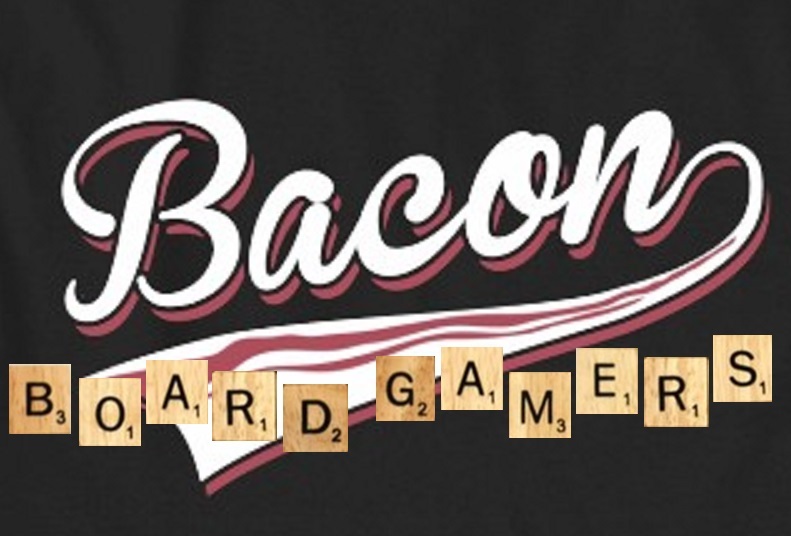 Welcome to the Bacon Board Gamers! Do you like bacon? Do you like board games? Do you want to have fun? If you answered yes to any of those questions then you are in the right place. Bacon Board Gamers is the hottest bacon-themed club on the campus of Northern Essex Community College in Haverhill, MA. The Bacon Board Gamers are committed to providing healthy competition, mental stimulation and social interaction in a relaxing environment. We have access to literally hundreds of the most exciting board and card games from around the world. Come try out some new games or play some old favorites while making new friends. The club is open to everyone, you don’t have to be a student of NECC. So grab a friend, a couple of games, or both and come on over! We meet the 1st and 3rd Fridays of each month from 5-8 PM in room TC219 of the Tech Center on the Haverhill campus of NECC. Bacon Board Gamers is great. I have been playing there 6 months and I’ve been kicking myself since I new it’s been running for 4 years as of this Fall. Games are a wide variety and you can usually get 2 games in on their scheduled nights. And I love going over to Diversions that supply Bacon Board Gamers with games, they have board gaming there too. Is there a semi-annual board game marathon coming up? I was hoping to put it on my calendar.